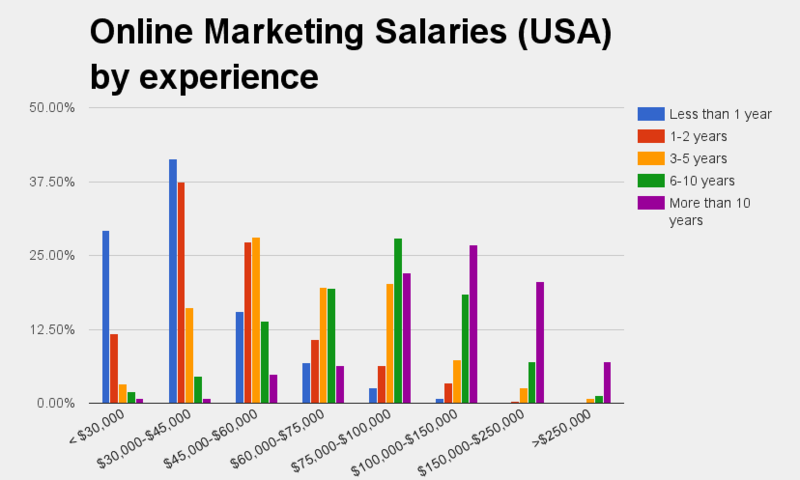 By Experience: How Much Salary do Online Marketers Make? 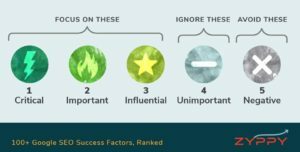 Very few of us openly share salary information, which is why online surveys prove so valuable in providing this information. 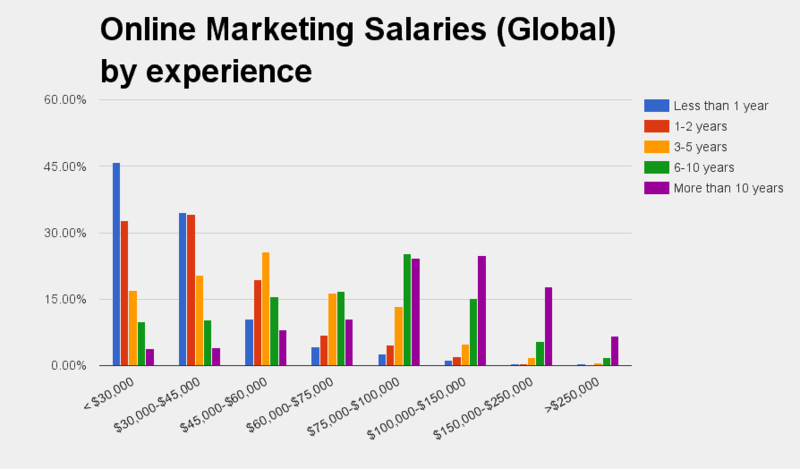 Earlier this year, Conductor released a breakdown of digital marketing salaries. Broken down by job role, it’s well worth checking out. Last year, as part of Moz’s Online Marketing Survey, the team collected salary information from over 3,500 marketers around the world. Because only a small portion of the data could be published, the salary information was never fully brought to light. 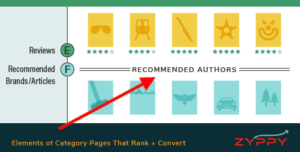 Thanks to Moz making available a full data download (hurray to transparency!) I’ve pulled some of that data into the charts below. All information is from 2015. From the data, it’s obvious that most people just starting out in this industry can expect to make a starting salary under $45,000, with a few bumping into the higher ranges. With 1-2 years experience, the average US online marketer can expect to make between $30-60,000 per year. For marketers with over 10 years experience, the salaries rise significantly, with many marketers in this range bringing in between $100,000-$250,000 or more. That’s very interesting how so many college students are striving for a marketing degree for the money and the ease of entrance but little do they know that it’s about the passion and not the money. Thanks for sharing, Cyrus! Not surprising to see the distribution (though it’s surprising to see some people with 10+ years experience making less than $30k), but I’m guessing specific location makes a big difference, too. For example, the San Francisco area is high cost of living and higher wages vs. Phoenix which is lower cost of living and lower wages. Is there another factor that could be easily compared, other than ‘number of years experience’? Hard to say though. The survey was limited in the data collected, but I imagine in future surveys it would be great to explore other metrics. Thanks Joseph – Ideally, yes get some help to sort through the chaos of your online presence but those who may not have the funds to hire someone need to watch out for their own best interests. If you need to do it yourself, take inventory and go from there. Cheers!